To view a table of contents click here. 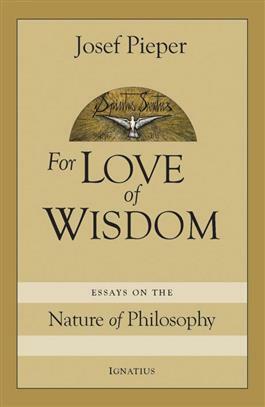 In these elegant and engaging essays, the internationally acclaimed Thomist, Josef Pieper, defines and defends philosophy as the search for and love of wisdom. 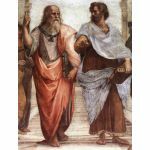 True philosophy is not the work of joyless academics pondering over esoteric writings that have no relation to real life. Rather, the philosophical act, in which all reasonable men can participate, begins in wonder at what is, and gratitude for what is given, and ends in love. 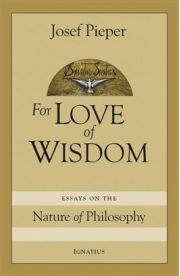 In his encyclical letter Fides et Ratio (On the Relationship between Faith and Reason), Pope John Paul II called for a revitalization of true philosophy, for man can find fulfillment “only in choosing to enter the truth, to make a home under the shade of Wisdom and dwell there.” Pieper’s essays make the same ardent and convincing plea. 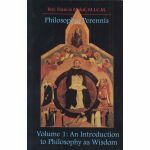 Josef Pieper is renowned for having popularized the philosophy of St. Thomas Aquinas, a brilliant student of St. Thomas who, in his own voluminous works, has made the deep thought of the “Angelic Doctor” more accessible and understandable to the modern reader.